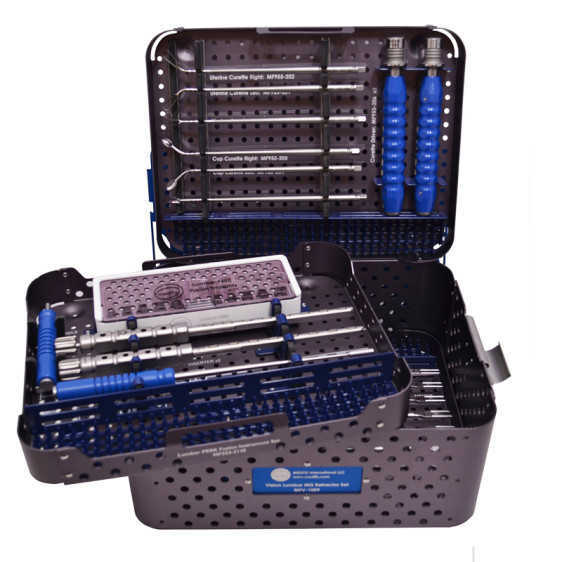 This is the Medfix® Metrx® style disc preparation instrument set. 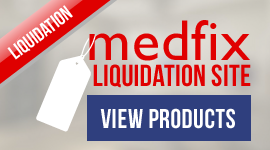 Medfix now offers the ideal instrument system configuration for minimally invasive disc preparation. 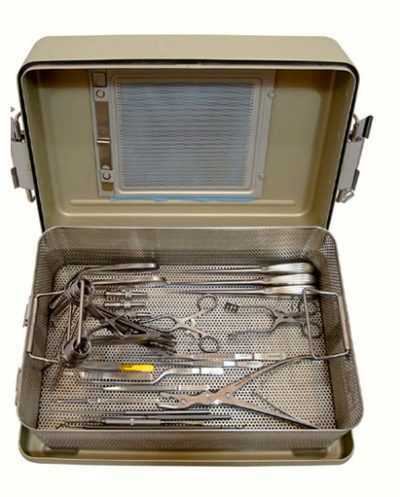 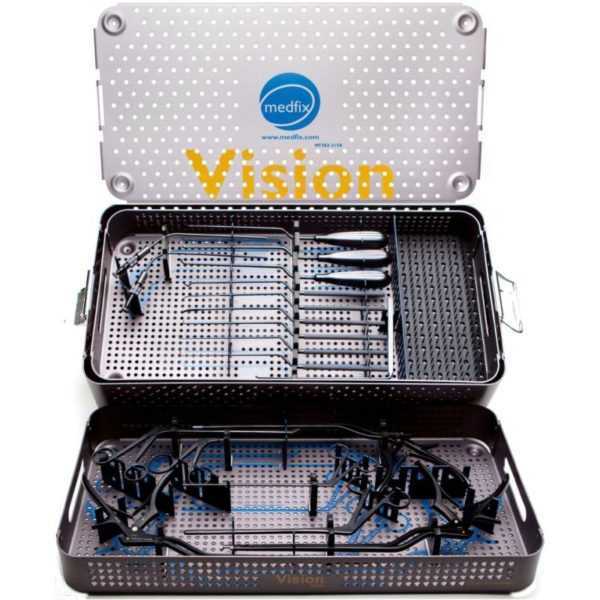 The VISION MDS instrument set can be employed for use in the following types of procedures: Discectomy, Laminectomy,Lumabr Stenosis, MIS PLIF, MIS TLIF, Cervical Formaniotomy, and Pedicle Screws. 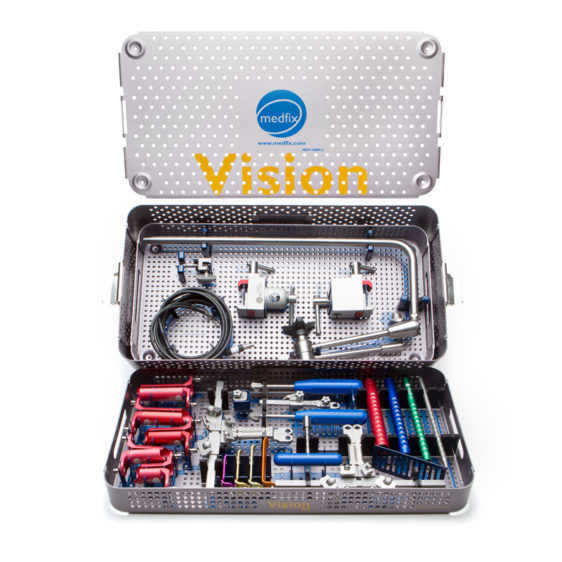 The VISION MDS instrument set can also be seamlessly paired with our modular VISION Tubular retractor sets. 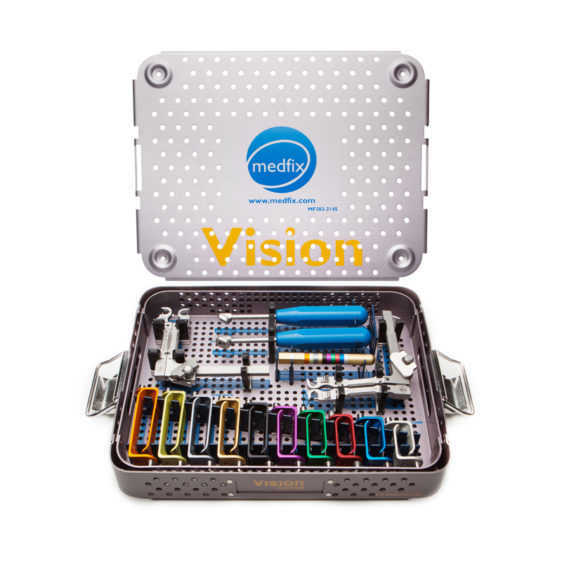 The Medfix modular platform allows for each of our VISION systems to be customized to a specific surgeon’s needs.